Canadian Foreign Affairs Minister Chrystia Freeland is scheduled to meet U.S. Trade Representative Robert Lighthizer in Washington Sept. 5 after a series of back-to-back meetings last week failed to yield an agreement. They were rushing to bridge their differences by the end of August so Canada could join a preliminary pact the U.S. had struck with Mexico just days earlier. Trump is threatening to exclude Canada from a new NAFTA and proceed with Mexico only, despite pushback from members of Congress and powerful business groups. Those constituents also have expressed concern that Trump will intensify a trade war with Beijing this week by announcing tariffs on $200 billion of Chinese goods. 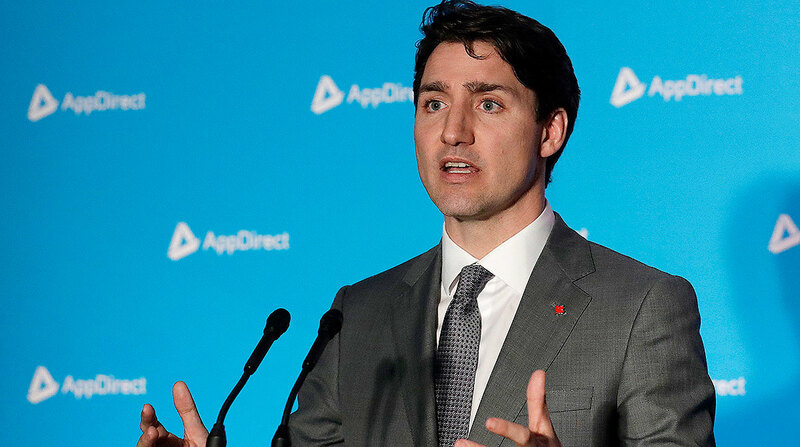 Canadian Prime Minister Justin Trudeau, speaking Sept. 4, singled out two issues as important for the country — maintaining some form of anti-dumping dispute panels, and an exemption for cultural industries. Though the U.S. president often threatens to withdraw from NAFTA, the latest pledges are piling up pressure on negotiators who are trying to wrap up more than a year’s worth of talks and strike a deal that could be signed before Dec. 1. The White House on Aug. 31 gave Congress a required 90-day notification that it would be signing a revised version of NAFTA with Mexico and would include Canada only “if it is willing.” Under congressional rules for passing trade pacts, the administration must publicly release text of the agreement 60 days before any signing, meaning wrapping up the U.S.-Canada negotiations this month could put everything back on track. Those issues include America’s demand for access to Canada’s highly protected dairy sector, as well as the Trudeau administration’s push to preserve a dispute-resolution mechanism that the White House wants to dismantle. Canada also wants to maintain exemptions for the cultural sector, with Trudeau saying on Sept. 4 that the exemption “must stand” because, for instance, he wouldn’t want to see Canadian TV networks swallowed up. If neither side budges, it’s unclear whether Trump can withdraw from NAFTA without congressional approval, though Trump has said he can do so unilaterally. Under terms of the original pact, any leader can pull their nation out after giving six months’ written notice. One thing is clear: Congress could help determine who has leverage in this week’s bilateral talks. If lawmakers stay mum on the threat of excluding Canada from NAFTA, Trudeau could feel pressure to make concessions. But if American lawmakers insist that Trump include his northern neighbor, U.S. negotiators may feel the need to make a deal with Ottawa. While Canada is clearly under pressure from Trump, “it’s not clear sailing on his part either,” Paul Heinbecker, a former Canadian diplomat and now a distinguished fellow at the Centre for International Governance Innovation in Waterloo, Ontario, told BNN Bloomberg Television on Sept. 4.